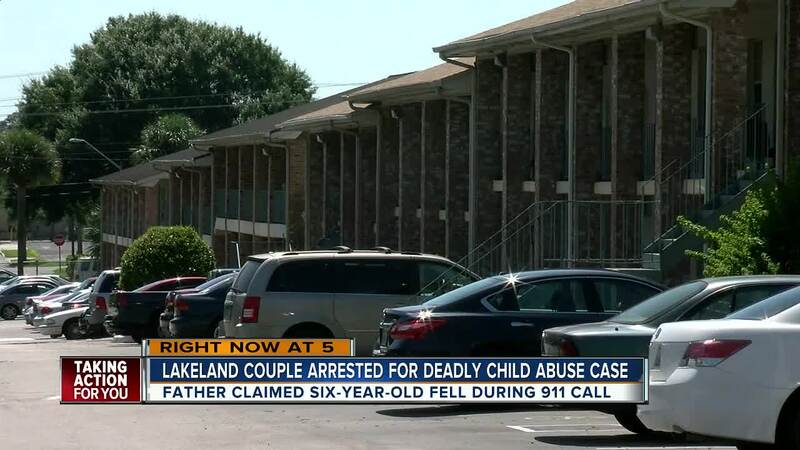 LAKELAND, Fla. — A 6-year-old girl has died after she was found unresponsive in a Lakeland apartment on Tuesday, June 12, 2018. Honesty Curry, 6, died on June 14, 2018, and her father and her father's girlfriend have been charged with her murder. On June 12, police responded to an apartment community in Lakeland in reference to an unresponsive child. Authorities said Curry's father called 911. Her father, Larry Lewis Golden Jr. told the dispatcher, "Like earlier today, my daughter fell out and like she hit her head or whatever". Golden Jr. continued, "Afterwards she was alright, but I just tried to get her up to like go and use the restroom like... before like everyone goes to sleep and she's like not getting up." Curry was found in the living room of the apartment, lying on her back with no detectable pulse, suffering from severe skull damage, lacerations on her throat, markings resembling adult bite marks on her thigh, and bruising all over her body. Curry was not expected to survive her injuries, according to police. "There was no doubt that this child was abused," Robin Tillett with the Media Relations Unit of the Lakeland PD said. The Department of Children and Families was immediately notified of the incident and responded to the scene. There were also three additional children, ages 1, 3 and 4-years-old, in the apartment at the time. Golden Jr., 26, and Breonna Wren, 21, originally lied to officers saying the girl was injured in a simple fall that neither adult saw. Tillett said Wren is Golden Jr.'s girlfriend and not the mother of the child. When medical professionals confronted Golden and Wren about the injuries, Wren admitted to striking the child twice on the buttocks with a leather belt while she was standing in the corner for punishment. Wren told officials she believed Golden struck the child with an unknown object while in the kitchen, so forceful it sent the child to the floor. 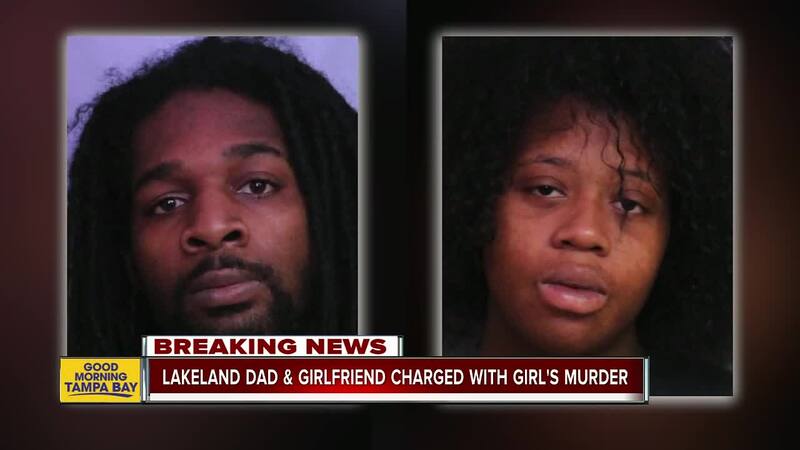 The couple was taken into custody and charged with Aggravated Child Abuse and DCF took the two youngest children into their custody. The other child was picked up by her mother, according to a press release. Honesty Curry was pronounced dead on June 14, 2018 at 11:47 a.m.
Golden and Wren were charged with First Degree Murder and Aggravated Manslaughter of a Child. They both remain in the Polk County Jail. Tillett said this was one of the worst cases they've seen in Lakeland. "We really don't know why somebody would do that to their child," Tillett said.